University and journalism are two parallel worlds, with the same tranformations, the same risks of being gagged and the same role of "conscience-makers". 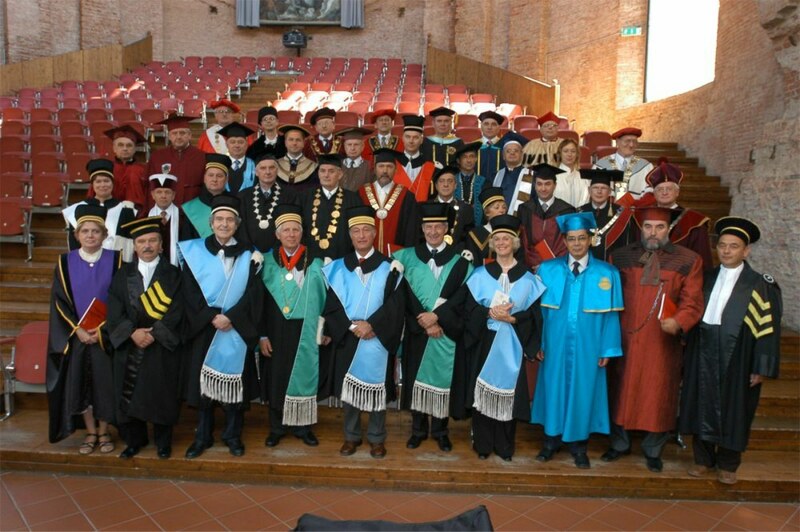 This is the result of the convention that took place in Bologna on September 17th and 18th, during which the Magna Charta Universitatum (a document representing the Universities' "constitution") was also endorsed by a further 30 "new signatory institutions". Nowadays, 501 Universities all around the world have signed the document. Ethics and the social responsibility of the media and of the universities linked all interventions.Umberto Eco spoke about the university's role in a world dominated by media. He stressed that the media are interested in university problems, while universities churn out communication experts and sociologists, analyse communication mechanisms and offer newspapers many contributors. Universities, however, are in danger when they espouse a media logic that does not belong to them. Then academic disputes turn into a show and the institution adapts to commercial cultural models tempting it to enter the advertising circuit for the recruitment of more students. On the other hand, the university should study the media world to protect society from possible manipulations. These two tasks are closely linked: the analysis of the mass media gives citizens an understanding of information constraints and allows them to react to news with critical ability. More generally, in Eco's opinion, the role of the university in the contemporary world consists in developing society's critical spirit thus allowing for a selection and evaluation of the information produced by media. What to forget in the urgency of the news or the continuity of history is indeed essential to man's survival since the resulting "memory" makes up the identity that justifies mankind's role in the world. Both a journalist and a university leader, Peter Scott, from Kingston University, compared the potential functions of the university and mass media in the emerging knowledge society, pointing out the changes brought about by two present trends, globalisation and commercialisation. Globalisation, linked to the spectacular way of news presentation, infotainment, questions the meaning of public service in the media while the growing links with the business world place the universities in a similar identity conflict. In Scott's opinion, it is important for both sectors to defend autonomy, but this should take account of the knowledge society's emerging reality by inventing new partnerships meeting the challenges of a world that is both uncertain and complex. For the university and the media, this means a pro-active role in the building of tomorrow's society - i.e., a strong sense of ethics in order to face the political and economical pressures that lead too often to self-censorship, as pointed in the discussions by Ken Edwards, from Cambridge, and John O'Leary, the editor of The Times Higher Education Supplement. The weight of external influences on the independence of the journalist or the autonomy of the media was also underlined by Xavier Mas de Xaxas, from La Vanguardia, Barcelona, for whom real and false are less and less distinguishable in the urgency of reporting, thus forcing lying on the press. Reality, however, should be the touching stone for the activities of both the media and the universities, pointed Madalena Queiròs, from Economica, Lisbon, when she compared the professional codes that the 1988 Magna Charta represents for academics and the 1971 Munich Charter for journalists. Indeed, Queiros said, university and journalism are linked by important synergies since they share similar goals, have the same awareness of their social role, refer to the same principles of autonomy and independence, to the same obligation to defend themselves from the interferences of political and economical power.